11 Best Snowbird Tips for Driving Your Car to the U.S.
Top 11 Snowbird Tips for Driving Your Car to the U.S.
Canadian Snowbirds! Save money and enjoy convenient cross-border banking, currency exchange, mortgages and more with RBC. 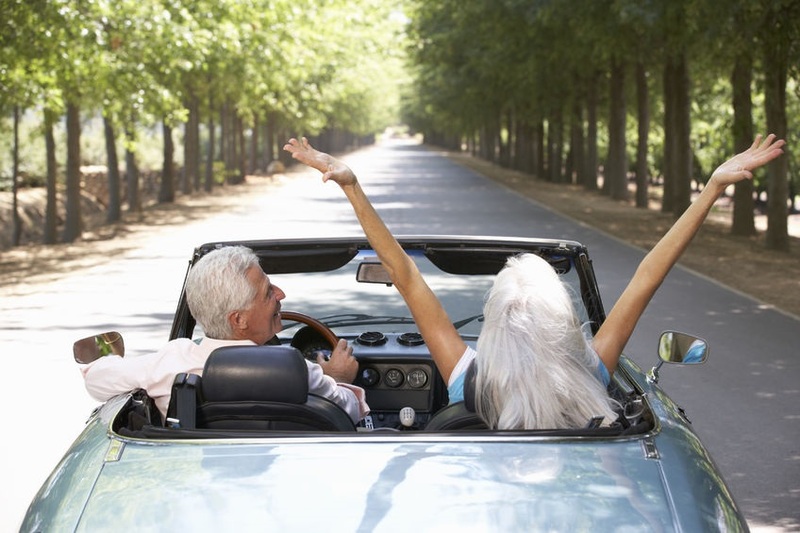 For many Canadian snowbirds, driving your own car to your southern destination has a number of advantages, including being an enjoyable experience if you choose to stop at interesting places along the way. If you prefer not to drive, you can always explore these options for Canadian snowbirds to ship your car to the U.S.
Generally speaking, it’s driving your own car is the least expensive option compared to flying to your destination and shipping your car, using a driveway service or renting a car locally for the winter. You’ll also be able to load your car up with your personal belongings for the winter. Driver’s License & Vehicle Registration: Make sure you renew your driver’s license and your license plate permit if they will expire before your return. Car Insurance: Checked with your auto insurer to make sure you are covered while in the U.S. and for how long. Passports & NEXUS Cards: Check your passports and NEXUS cards to ensure expiry dates are after you will return, otherwise renew them before you leave. The U.S. has exempted Canadians from the requirement to have a 6 month expiry beyond their exit date from the U.S., but if anyone in your car is not a Canadian citizen, they should check to see what they will require to enter the U.S. and re-enter Canada. Handicap Parking Permits: If you have a Canadian issued handicap parking permit, some U.S. states will honour it, but only if it’s still valid in Canada, so be sure to renew it if it it’s going to expire while you’re away. Customs Forms: If your car has personal belongings in it, fill out a U.S. Customs and Border Protection (CBP) Form 3299 – Declaration for Free Entry of Unaccompanied Articles that accurately lists all of the personal items in your car, as well as Canada Border Services Agency (CBSA) Form E-15: Certificate of Destruction/Exportation to avoid paying duty and taxes on your personal items when you return to Canada in the spring. Service Your Car: Have your car serviced (whichever service is next due) and have the brakes and tires checked for wear and tear and tire pressure. The last thing you need is car trouble during a long drive in another country. Get U.S. Cash: Take some U.S. cash and coins with you. Once you are in the U.S. you will need U.S. cash for any tolls and incidentals. Entertainment: Remember to take your favourite CDs or audio books for the journey to help pass the time. Water: Take a 12-pack of bottled water for the trip so you can stay hydrated without having to stop along the way. Plan your route in advance and make sure you tell a family member or friend which route you plan to take. There are plenty of tools to do this. Google maps and other online tools are great for estimating time and distances. There are also guide books and if you belong to CAA, you can request their route maps and guides. Unless you have a great GPS, make sure you have maps of the states you will be travelling through, in case the Interstate is blocked for any reason and you need to look for alternatives. Be sure to take into consideration the time of year you are travelling. Does your route take you through mountains? If so, these routes can become treacherous in certain weather conditions. Another tip: If you’re not locked in to rental dates, drive on weekends and holidays to enjoy fewer transport trucks on the road. About a week before your departure date, start looking at the weather forecast along your route. There are online tools to check weather on all the U.S. Interstate highways. You can also check it for the major cities and towns you pass along the way. Keep checking right up to departure, to make sure no big storms are expected during your trip. Always keep your dates flexible, so that you can leave early or delay a day or two if weather requires it. This is a science! Try to take a couple of large suitcases and then some smaller, soft sided bags that are easier to work with. Pack your summer clothes in the big suitcases. Pack a carry-on bag that you will use on the trip and take into the hotel with you at night, this should have clothing that’s suitable for the warming temperatures as you get farther south. Also any toiletries, your computer or tablet, medication for the trip, any jewellery and valuables, your e-reader or book, etc. If you need any household items (cookware, small appliances, etc.) pack in their boxes for the journey. Put large items like suitcases, golf clubs, etc… in first. To avoid stress, be sure to pack the car the night before you are due to leave at the latest, other than your carry-on. At the border you will be asked to provide your passport or Nexus card. There is a separate line for Nexus card holders. You must declare all food, even your packed lunch or snacks, as well as any alcohol. Be sure to check the U.S. Customs site for details on what you can and cannot bring in to the country. You will also be asked how long you will be away and for the address of your destination. While not required, it’s a good idea to have a copy of your rental agreement or proof of ownership for your U.S. vacation property just in case U.S. Customs agents have any doubts about your intentions when entering the United States. The local police in many jurisdictions love to sit on the overpasses of the Interstates with radar guns. Then their colleagues are poised to catch offenders down the highway. Getting pulled over in the U.S. is not fun for Canadians and could delay your trip considerably. And some states have reciprocal arrangements with Canadian provinces, so your offences will go against your record at home. You may be required to pay any fines in cash on the spot. 8) Buying Gas in the U.S.
First of all, you will notice that as soon as you cross the border, gas is cheaper in the U.S. than in Canada, so you may want to cross the border before you fill up. In some states gas is much cheaper, generally this is true in the South. At U.S. service stations, if you want to use a credit card at the pump, some may ask for a zip code. The U.S. is slowly converting to chip cards but many outlets are not there yet. Try putting in the 3 numbers in your postal code and adding two zeros (e.g. If your code is L5A 4Z9, you would punch in 54900 as your “zip”) at the end instead of the zip code, it often works. Otherwise you will have to go into the gas station and pay up front or make other arrangements for payment that satisfies the owner. Most U.S. Interstate highways have plenty of accommodation options along the route. It’s a good idea to plan your trip down and book your accommodations ahead of time to avoid hassles and running the risk that your preferred hotels will be sold out. About an 8 to 10-hour driving day is long enough for most snowbirds, and the last thing you need is to be running around looking for a place to stay for the night after a long drive. If you’re travelling with pets, you’ll want to make sure you pick a hotel that’s pet friendly. You can also earn loyalty points by joining one of the large hotel chain’s loyalty plans and always staying at their hotels. Look for hotels that include free Wi-Fi and breakfast, as it saves time and money. Whenever possible, plan to stay on the other side of any large town or city, so that in the morning, you are not fighting rush hour traffic to get on your way. Some people prefer to buy fresh fruit and other take-out food items at grocery stores once they are in the U.S., while others will eat at the many chain and fast food eateries long the highway. It’s always smart to have some water, drinks and snacks in the car so you don’t have to keep stopping. Many fast food restaurants offer free Wi-Fi so this can be a good place to check in with family or friends and check for texts and emails along the way. You will do a lot of the above in reverse for your return journey. When you cross the border on the way home, Canadian customs agents will ask what you purchased in the U.S. and you must, again, declare all food, alcohol, wine, beer and tobacco. Remember to have some Canadian cash handy once you cross the border. Planning on leaving your car in the U.S. for more than a year? There are number of regulations you’ll need to comply with on both sides of the border that are covered in our Snowbird Guide to Exporting a Car from Canada to the U.S.! Disclaimer: The material provided on the SnowbirdAdvisor.ca website is for informational purposes only and does NOT constitute legal, tax, accounting, financial, real estate or other advice, and should not be relied on as such. If you require such advice, you should retain a qualified professional to advise you.